Abstract：The study of deep geophysics and continental dynamics in the Tibetan Plateau has been taking vigorous progress in the last decades, which results in substantial achievements. Published in this special issue of the Chinese Journal of Geophysics, No.6 of 2017, are 36 articles on the recent achievements made in the studies of deep geophysics and continental dynamics of the Eastern Tibetan Plateau. The studies cover three research fields, including seismic characteristics and continental dynamics,seismic anisotropy and crust-mantle structure, and deep electrical structure and the interpretation of gravity-magnetic data. In this review, the studies are briefly outlined and the key achievements of the works are highlighted to share with the readers. Beaumont C M, Nguyen R, Jamieson R A, et al. 2006. Crustal flow modes in large hot orogens.//Law R D, Searle M P, Godin L eds. Channel Flow, Ductile Extrusion and Exhumation in Continental Collision Zones. Geological Society, London, Special Publications, 268:91-145. Bi B T,Hu X Y,Li L. Q, et al. 2016. Multi-scale analysis to the gravity field of the northeastern Tibetan plateau and its geodynamic implications. Chinese J. Geophys. (in Chinese),59(2):543-555. Burchfiel B C, Chen Z, Liu Y, et al. 1996. Tectonics of the Longmen Shan and adjacent regions, Central China. International Geology Review, 37:661-735. Cheng Y Z, Tang J, Cai J T, et al. 2017. Deep electrical structure beneath the Sichuan-Yunnan area in the eastern margin of the Tibetan plateau. Chinese J. Geophys. (in Chinese),60(6):2425-2441,doi:10.6038/cjg20170631. Clark M K, Royden L H. 2000. Topographic ooze: building the eastern margin of Tibet by lower crustal flow. Geology, 28(8):703-724. Galvé A, Hirn A, Jiang M, et al. 2002. Modes of raising northeastern Tibet probed by explosion seismology. Earth and Planetary Science Letters, 203: 35-43. Gray R, Pysklywec R N. 2012. Geodynamic models of mature continental collision: Evolution of an orogen from lithospheric subduction to continental retreat/delamination. J. Geophys. Res., 117, B03408, doi:10.1029/2011JB008692. Guo X Y, Gao R, Gao J R, et al. 2017. Integrated analysis on the deformation of the Liupan Shan fold-thrust belt, NE Tibet, and its tectonic attribution. Chinese J. Geophys. (in Chinese),60(6):2058-2067,doi:10.6038/cjg20170603. He F J, Liang C T, Yang Y H, et al. 2017. The crust structure of the unruptured segment between Wenchuan and Lushan Earthquakes revealed by Receiver Functions. Chinese J. Geophys. (in Chinese),60(6):2130-2146,doi:10.6038/cjg20170609. He M X, Fang H, Wang X B, et al. 2017. Deep conductivity characteristics of the southern Xianshuihe fault zone. Chinese J. Geophys. (in Chinese),60(6):2414-2424,doi:10.6038/cjg20170630. Housman G A, England P. 1993. Crustal thickening versus lateral expulsion in the India-Asia continental collision. J. Geophys. Res., 1993, 98(B7): 12233-12249. Hu Y P, Wang Z, Liu G N, et al. 2017. Crustal structure imaging of multi-geophysical parameters and generating mechanisms of large earthquakes in North-South Seismic Zone. Chinese J. Geophys. (in Chinese),60(6):2113-2129,doi:10.6038/cjg20170608. Jia S X, Lin J Y, Guo W B, et al. 2017. Investigation on diversity of crustal structures beneath the Bayan Har block. Chinese J. Geophys. (in Chinese),60(6):2226-2238,doi:10.6038/cjg20170616. Jiang X D, Li D Y,Gong W, et al. 2014. Differential deformation and uplift mechanisms of the eastern and western Tibetan plateau. Chinese J. Geophys. (in Chinese),57(12): 4016-4028. Li H L, Fang J, Wang X S, et al. 2017. Lithospheric 3-D density structure beneath the Tibetan plateau and adjacent areas derived from joint inversion of satellite gravity and gravity-gradient data. Chinese J. Geophys. (in Chinese),60(6):2469-2479,doi:10.6038/cjg20170634. Li J, Wang X B, Li D H, et al. 2017. Characteristics of the lithosphere physical structure in eastern margin of the Qinghai-Tibet plateau and their deep tectonic implications. Chinese J. Geophys. (in Chinese),60(6):2500-2511,doi:10.6038/cjg20170637. Li W H, Gao R, Wang H Y, et al. 2017. Crustal structure beneath the Liupanshan fault zone and adjacent regions. Chinese J. Geophys. (in Chinese),60(6):2265-2278,doi:10.6038/cjg20170619. Liang S S, Lei J S, Xu Z G, et al. 2017. Relocation of the aftershock sequence and focal mechanism solutions of the 21 January 2016 Menyuan, Qinghai, MS6.4 earthquake. Chinese J. Geophys. (in Chinese),60(6):2091-2103,doi:10.6038/cjg20170606. Liu G, Gao Y, Shi Y T. 2017. Shear-wave splitting in Qinling Orogen and its both sides. Chinese J. Geophys. (in Chinese),60(6):2326-2337,doi:10.6038/cjg20170624. Liu Q, Hilst R D, Li Y, et al. 2014. Eastward expansion of the Tibetan Plateau by crustal flow and strain partitioning across faults. Nat. Geosci., 7(5): 361-365. Liu Y B, Pei S P. 2017. Temporal and spatial variation of b-value before and after Wenchuan earthquake and its tectonic implication. Chinese J. Geophys. (in Chinese),60(6):2104-2112,doi:10.6038/cjg20170607. Meng W, Guo C B, Zhang C Y, et al. 2017. In situ stress measurements and implications in the Lhasa Terrane, Tibetan Plateau. Chinese J. Geophys. (in Chinese),60(6):2159-2171,doi:10.6038/cjg20170611. Meng X H,Shi L, Guo L H,et al. 2012. Multi-scale analyses of transverse structures based on gravity anomalies in the northeastern margin of the Tibetan Plateau. Chinese J.Geophys. (in Chinese),55(12):3933-3941. Meyer B, Tapponnier P, Bourjot L, et al. 1998. Crustal thickening in Gansu-Qinghai, lithospheric mantle subduction, and oblique, strike-slip controlled growth of the Tibet plateau. Geophys. J. Int., 135:1-47. Min G, Wang X B, Xia S B, et al. 2017. Electrical structure of middle and upper crust beneath the Minshan uplift zone and central section of the West Qinling orogenic zone. Chinese J. Geophys. (in Chinese),60(6):2397-2413,doi:10.6038/cjg20170629. Pan J T, Li Y H, Wu Q J,et al. 2017. Phase velocity maps of Rayleigh wave based on a dense coverage and portable seismic array in NE Tibetan plateau and its adjacent regions. Chinese J. Geophys. (in Chinese),60(6):2291-2303,doi:10.6038/cjg20170621. Qian Q W, Wu J, Liu G, et al. 2017. Anisotropy of middle-upper crust derived from shear-wave splitting in the northeastern Tibetan plateau and tectonic implications. Chinese J. Geophys. (in Chinese),60(6):2338-2349,doi:10.6038/cjg20170625. Royden L H, Burchfiel B C, King R W, et al. 1997. Surface deformation and lower crustal flow in eastern Tibet. Science 276: 788-790. She Y W, Fu G Y, Wang Z H, et al. 2017. Vertical tectonic stress in eastern margin of Bayan Har block revealed by gravity and terrain data. Chinese J. Geophys. (in Chinese),60(6):2480-2492,doi:10.6038/cjg20170635. Sun J, Jin G W, Bai D H,et al. 2003. Exploration of the electrical structure in the crust and upper mantle in eastern margin of Tibetan Plateau and its geotectonic implications. Sci. China Ser.D-Earth Sci. (in Chinese), 33(Suppl. ): 173-180. Tapponnier P, Xu Z, Francoise R, et al. 2001. Oblique stepwise rise and growth of the Tibet Plateau. Science, 294: 1671-1677. Teng J W. 2006. Geophysical research on the Qinghai-Tibetan Plateau and discussion on some related problems. Earth Science Froniers (in Chinese), 13(3): 19-22. Teng J W, Bai D H, Yang H, et al. 2008. Deep processes and dynamic responses associated with the Wenchuan MS8.0 earthquake of 2008. Chinese J. Geophys. (in Chinese), 51(5):1385-1402. Vergne J, Wittlinger G, Qiang H, et al. 2002. Seismic evidence for stepwise thickening of the crust across the NE Tibetan plateau. Earth and Planetary Science Letters, 203: 25-33. Wang C Y, Li Y H, Lou H. 2016. Issues on crustal and upper-mantle structures associated with geodynamics in the northeastern Tibetan Plateau. 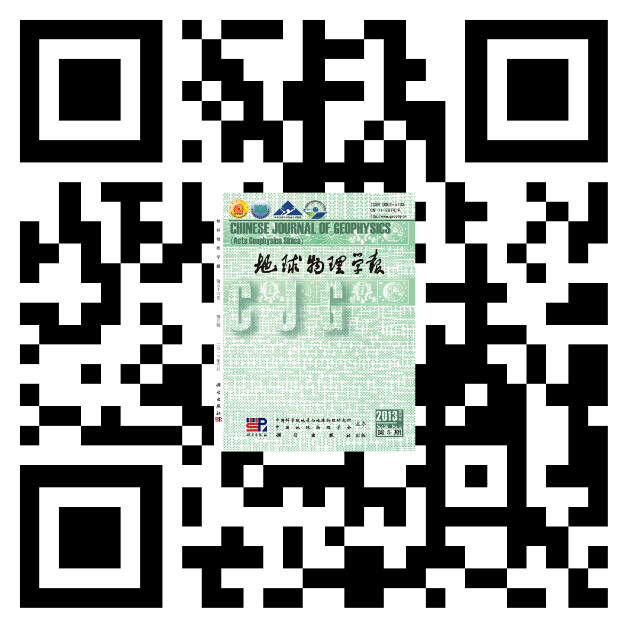 Chinese Science Bulletin (in Chinese), 61(20): 2239-2263. Wang C Y, Yu J P, Lou H, et al. 2003. P-wave crustal velocity structure in the western Sichuan and eastern Tibetan region. Sci. China Ser.D-Earth Sci. (in Chinese), 33(Suppl. ): 181-189. Wang X B, Yu N, Gao S, et al. 2017. Research progress on electrical structure of the crust and upper mantle beneath the eastern margin of Tibetan Plateau. Chinese J. Geophys. (in Chinese), 60(6): 2350-2370, doi:10.6038/cjg20170626. Wang X C, Ding Z F, Wu Y, et al. 2017. Crustal thicknesses and Poisson's ratios beneath the northern section of the north-south seismic belt and surrounding areas in China. Chinese J. Geophys. (in Chinese),60(6):2080-2090,doi:10.6038/cjg20170605. Wang Z, Wang X B, Huang R Q, et al. 2017. Deep structure imaging of multi-geophysical parameters and seismogenesis in the Longmenshan fault zone. Chinese J. Geophys. (in Chinese),60(6):2068-2079,doi:10.6038/cjg20170604. Wei W, Unsworth M, Jones A, et al. 2001. Detection of widespread fluids in the Tibetan crust by magnetotelluric studies. Science, 292: 716-718. Xiao Z, Gao Y. 2017. Crustal velocity structure beneath the northeastern Tibetan plateau and adjacent regions derived from double difference tomography. Chinese J. Geophys. (in Chinese),60(6):2213-2225,doi:10.6038/cjg20170615. Xie Z X, Wu Q J, Zhang R Q. 2017. Crustal anisotropy beneath northeastern margin of the Tibetan Plateau and its dynamic implications. Chinese J. Geophys. (in Chinese),60(6):2315-2325,doi:10.6038/cjg20170623. Xu Y, Li X L, Wang S, et al. 2017. Crustal thickness and Poisson's ratio of the Tengchong volcanic area in southwestern China. Chinese J. Geophys. (in Chinese),60(6):2256-2264,doi:10.6038/cjg20170618. Yang H,Teng J W, Wang Q S, et al. 2013. Numerical simulation on the special gravity fields and dynamic response in Longmenshan orogenic belt and adjacent area. Chinese J. Geophys. (in Chinese),56(1):106-116. Yao R, Yang S X, Xie F R, et al. 2017. Analysis on magnitude characteristics of the shallow crustal tectonic stress field in Qinghai-Tibet plateau and its adjacent region based on in-situ stress data. Chinese J. Geophys. (in Chinese),60(6):2147-2158,doi:10.6038/cjg20170610. Yu C Q, Zhang G, Wang X B, et al. 2017. Deep electrical resistivity structure of Sanjiang Area of west Yunnan and its significance. Chinese J. Geophys. (in Chinese),60(6):2385-2396,doi:10.6038/cjg20170628. Yu J, Han C, Wang X B, et al. 2017. Seismic amplification effect and geological structure: observation and analysis of seismic waves for the Yuhuangguan area in front of the Longmenshan. Chinese J. Geophys. (in Chinese),60(6):2239-2255,doi:10.6038/cjg20170617. Yu N, Hu X Y, Li J, et al. 2017. 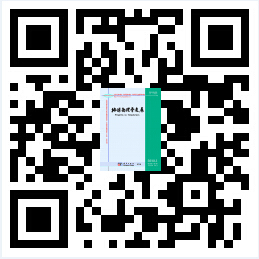 Electrical structure of the Longling area in western Yunnan and its effect on route selection of the Dali-Ruili railway. Chinese J. Geophys. (in Chinese),60(6):2442-2455,doi:10.6038/cjg20170632. Zhan Y, Yang H, Zhao G Z, et al. 2017. Deep electrical structure of crust beneath the Madongshan step area at the Haiyuan fault in the northeastern margin of the Tibetan plateau and tectonic implications. Chinese J. Geophys. (in Chinese),60(6):2371-2384,doi:10.6038/cjg20170627. Zhang P Z. 2008. The tectonic deformation, strain distribution and deep dynamic processes in the eastern margin of the Tibetan Plateau. Sci. China Ser.D-Earth Sci. (in Chinese), 38(9): 1041-1056. Zhang X Y, Gao R, Bai Z M, et al. 2017. Crustal structure beneath the Longmenshan area in eastern Tibet: new constrains from reprocessing wide-angle seismic data of the Aba-Longmenshan-Suining profile. Chinese J. Geophys. (in Chinese),60(6):2200-2212,doi:10.6038/cjg20170614. Zhang Y, Cheng S Y, Zhao B K, et al. 2013. The feature of tectonics in the Tibet Plateau from new regional gravity signals. Chinese J.Geophys. (in Chinese),56(4):1369-1380. Zhang Y, Gao Y. 2017. The characteristics of crustal shear-wave splitting in North-South seismic zone revealed by near field recordings of two observation periods of ChinArray. Chinese J. Geophys. (in Chinese),60(6):2181-2199,doi:10.6038/cjg20170613. Zhao B, Shi Y T, Gao Y. 2012. Seismic relocation, focal mechanism and crustal seismic anisotropy associated with the MS7.1 Yushu earthquake and its aftershocks. Earthquake Science, 25(1): 111-119. Zhong S, Wu J P, Fang L H, et al. 2017. Surface wave Eikonal tomography in and around the northeastern margin of the Tibetan plateau. Chinese J. Geophys. (in Chinese),60(6):2304-2314,doi:10.6038/cjg20170622. Zhou J C, Sun H P, Xu J Q, et al. 2017. Co-seismic change of gravitational potential energy and its tectonic implications: A case study of the Tibetan plateau. Chinese J. Geophys. (in Chinese),60(6):2493-2499,doi:10.6038/cjg20170636. Zhu J S, Wang X B , Yang Y H, et al. 2017. The crustal flow beneath the eastern margin of the Tibetan Plateau and its process of dynamics. Chinese J. Geophys. (in Chinese),60(6):2038-2057,doi:10.6038/cjg20170602. Zou C Q, He R Z, Duan Y H, et al. 2017. Deep structure beneath the eastern Altyn Tagh fault and its vicinity derived from teleseismic P-wave tomography. Chinese J. Geophys. (in Chinese),60(6):2279-2290,doi:10.6038/cjg20170620. 程远志, 汤吉, 蔡军涛等. 2017. 青藏高原东缘川滇构造区深部电性结构特征. 地球物理学报,60(6):2425-2441,doi:10.6038/cjg20170631. 郭晓玉, 高锐, 高建荣等. 2017. 综合数据分析青藏高原东北缘六盘山地区构造形变及其构造成因独特性探讨. 地球物理学报,60(6):2058-2067,doi:10.6038/cjg20170603. 何富君, 梁春涛, 杨宜海等. 2017. 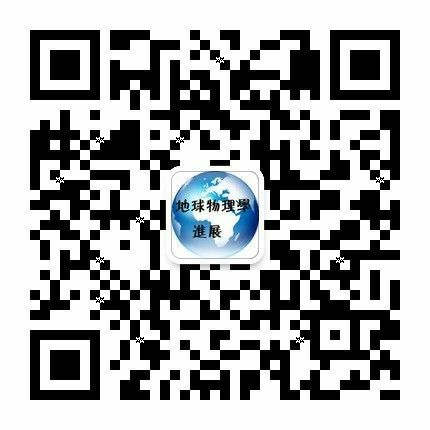 用接收函数方法研究汶川和芦山地震之间未破裂段的地壳结构. 地球物理学报,60(6):2130-2146,doi:10.6038/cjg20170609. 何梅兴, 方慧, 王绪本等. 2017. 鲜水河断裂带南段深部电性结构特征研究. 地球物理学报,60(6):2414-2424,doi:10.6038/cjg20170630. 胡亚平, 王志, 刘冠男等. 2017. 南北地震带地壳结构多参数成像及强震触发机制研究. 地球物理学报,60(6):2113-2129,doi:10.6038/cjg20170608. 嘉世旭, 林吉焱, 郭文斌等. 2017. 巴颜喀拉块体地壳结构多样性探测. 地球物理学报,60(6):2226-2238,doi:10.6038/cjg20170616. 李红蕾, 方剑, 王新胜等. 2017. 重力及重力梯度联合反演青藏高原及邻区岩石圈三维密度结构. 地球物理学报,60(6):2469-2479,doi:10.6038/cjg20170634. 李军, 王绪本, 李大虎等. 2017. 青藏高原东缘岩石圈物性结构特征及深部构造涵义. 地球物理学报,60(6):2500-2511,doi:10.6038/cjg20170637. 李文辉, 高锐, 王海燕等. 2017. 六盘山断裂带及其邻区地壳结构. 地球物理学报,60(6):2265-2278,doi:10.6038/cjg20170619. 梁姗姗, 雷建设, 徐志国等. 2017. 2016年1月21日青海门源MS6.4余震序列重定位和主震震源机制解. 地球物理学报,60(6):2091-2103,doi:10.6038/cjg20170606. 刘庚, 高原, 石玉涛. 2017. 秦岭造山带及其两侧区域地壳剪切波分裂. 地球物理学报,60(6):2326-2337,doi:10.6038/cjg20170624. 刘雁冰, 裴顺平. 2017. 汶川地震前后b值的时空变化及构造意义. 地球物理学报,60(6):2104-2112,doi:10.6038/cjg20170607. 孟文, 郭长宝, 张重远等. 2017. 青藏高原拉萨块体地应力测量及其意义. 地球物理学报,60(6):2159-2171,doi:10.6038/cjg20170611. 闵刚, 王绪本, 夏时斌等. 2017. 岷山隆起带与西秦岭构造带中段中上地壳电性结构特征. 地球物理学报,60(6):2397-2413,doi:10.6038/cjg20170629. 潘佳铁, 李永华, 吴庆举等. 2017. 基于密集流动地震台阵的青藏高原东北缘及邻区Rayleigh波相速度层析成像. 地球物理学报,60(6):2291-2303,doi:10.6038/cjg20170621. 钱旗伟, 吴晶, 刘庚等. 2017. 青藏高原东北缘中上地壳介质各向异性及其构造意义. 地球物理学报,60(6):2338-2349,doi:10.6038/cjg20170625. 佘雅文, 付广裕, 王灼华等. 2017. 重力与地形数据揭示的巴颜喀拉块体东缘垂向构造应力场. 地球物理学报,60(6):2480-2492,doi:10.6038/cjg20170635. 孙洁, 晋光文, 白登海等. 2003. 青藏高原东缘地壳上地幔电性结构探测及其大地构造意义. 中国科学D辑: 地球科学, 33(增刊): 173-180. 王椿镛, 李永华, 楼海. 2016. 与青藏高原东北部地球动力学相关的深部构造问题. 科学通报, 61(20): 2239-2263. 王椿镛, 吴建平, 楼海等. 2003. 川西藏东地区的地壳P波速度结构. 中国科学D辑: 地球科学, 33(增刊): 181-189. 王兴臣, 丁志峰, 武岩等. 2017. 中国南北地震带北段及其周缘地壳厚度与泊松比研究. 地球物理学报,60(6):2080-2090,doi:10.6038/cjg20170605. 王绪本, 余年,高嵩等. 2017. 青藏高原东缘地壳上地幔电性结构研究进展. 地球物理学报,60(6):2350-2370,doi:10.6038/cjg20170626. 王志, 王绪本, 黄润秋等. 2017. 龙门山断裂带多参数深部结构成像与地震成因研究. 地球物理学报,60(6):2068-2079,doi:10.6038/cjg20170604. 肖卓, 高原. 2017. 利用双差成像方法反演青藏高原东北缘及其邻区地壳速度结构. 地球物理学报,60(6):2213-2225,doi:10.6038/cjg20170615. 谢振新, 吴庆举, 张瑞青. 2017. 青藏高原东北缘地壳各向异性及其动力学意义. 地球物理学报,60(6):2315-2325,doi:10.6038/cjg20170623. 胥颐, 李雪垒, 汪晟等. 2017. 腾冲火山区的地壳厚度和平均泊松比研究. 地球物理学报,60(6):2256-2264,doi:10.6038/cjg20170618. 姚瑞, 杨树新, 谢富仁等. 2017. 青藏高原及周缘地壳浅层构造应力场量值特征分析. 地球物理学报,60(6):2147-2158,doi:10.6038/cjg20170610. 于常青, 张刚, 王绪本等. 2017. 滇西三江地区深部电性结构特征及其意义. 地球物理学报,60(6):2385-2396,doi:10.6038/cjg20170628. 余嘉顺, 韩超, 王绪本等. 2017. 地震放大效应与地下地质结构——龙门山山前玉皇观区域观测数据分析. 地球物理学报,60(6):2239-2255,doi:10.6038/cjg20170617. 余年, 胡祥云, 李坚等. 2017. 滇西龙陵地区地壳电性结构及其对大瑞铁路地质选线影响研究. 地球物理学报,60(6):2442-2455,doi:10.6038/cjg20170632. 詹艳, 杨皓, 赵国泽等. 2017. 青藏高原东北缘海原构造带马东山阶区深部电性结构特征及其构造意义. 地球物理学报,60(6):2371-2384,doi:10.6038/cjg20170627. 张培震. 2008. 青藏高原东缘川西地区的现今构造变形、应变分配与深部动力过程. 中国科学D辑:地球科学,38(9): 1041-1056. 张新彦, 高锐, 白志明等. 2017. 阿坝—遂宁宽角地震剖面重建藏东缘龙门山地区地壳速度结构. 地球物理学报,60(6):2200-2212,doi:10.6038/cjg20170614. 张艺, 高原. 2017. 中国地震科学台阵两期观测资料近场记录揭示的南北地震带地壳剪切波分裂特征. 地球物理学报,60(6):2181-2199,doi:10.6038/cjg20170613. 钟世军, 吴建平, 房立华等. 2017. 青藏高原东北缘及周边地区基于程函方程的面波层析成像. 地球物理学报,60(6):2304-2314,doi:10.6038/cjg20170622. 周江存, 孙和平, 徐建桥等. 2017. 重力位能同震变化及其构造意义——以青藏高原地区为例. 地球物理学报,60(6):2493-2499,doi:10.6038/cjg20170636. 朱介寿, 王绪本, 杨宜海等. 2017. 青藏高原东缘的地壳流及动力过程. 地球物理学报,60(6):2038-2057,doi:10.6038/cjg20170602. 邹长桥, 贺日政, 段永红等. 2017. 远震P波层析成像研究阿尔金断裂带东端及其邻区深部结构. 地球物理学报,60(6):2279-2290,doi:10.6038/cjg20170620. 郭希, 陈赟, 李士东, 邓阳凡, 徐涛, 李玮, 谭萍. 峨眉山大火成岩省地壳横波速度结构特征及其动力学意义[J]. 地球物理学报, 2017, 60(9): 3338-3351. 杨婷, 陈秀万, 万玮, 黄照强, 杨振宇, 姜璐璐. 基于光学与被动微波遥感的青藏高原地区土壤水分反演[J]. 地球物理学报, 2017, 60(7): 2556-2567. 朱介寿, 王绪本, 杨宜海, 范军, 程先琼. 青藏高原东缘的地壳流及动力过程[J]. 地球物理学报, 2017, 60(6): 2038-2057. 张新彦, 高锐, 白志明, 徐涛, 李秋生. 阿坝-遂宁宽角地震剖面重建藏东缘龙门山地区地壳速度结构[J]. 地球物理学报, 2017, 60(6): 2200-2212.